Creative history brims with embodied examples of why the secret of genius is doggedness rather than “god”-given talent, from the case of young Mozart’s upbringing to E. B. White’s wisdom on writing to Chuck Close’s assertion about art to Tchaikovsky’s conviction about composition to Neil Gaiman’s advice to aspiring writers. But it takes a brilliant scholar of the psychology of achievement to empirically prove these creative intuitions: Math-teacher-turned-psychologist Angela Duckworth, who began her graduate studies under positive psychology godfather Martin Seligman at my alma mater, the University of Pennsylvania, has done more than anyone for advancing our understanding of how self-control and grit — the relentless work ethic of sustaining your commitments toward a long-term goal — impact success. So, how heartening to hear that Duckworth is the recipient of a 2013 MacArthur “genius” grant for her extraordinary endeavors, the implications of which span from education to employment to human happiness. "Duckworth had come to Penn in 2002, at the age of thirty-two, later in life than a typical graduate student. The daughter of Chinese immigrants, she had been a classic multitasking overachiever in her teens and twenties. After completing her undergraduate degree at Harvard (and starting a summer school for low-income kids in Cambridge in her spare time), she had bounced from one station of the mid-nineties meritocracy to the next: intern in the White House speechwriting office, Marshall scholar at Oxford (where she studied neuroscience), management consultant for McKinsey and Company, charter-school adviser." Duckworth spent a number of years toying with the idea of starting her own charter school, but eventually concluded that the model didn’t hold much promise for changing the circumstances of children from disadvantaged backgrounds, those whom the education system was failing most tragically. Instead, she decided to pursue a PhD program at Penn. "The problem, I think, is not only the schools but also the students themselves. Here’s why: learning is hard. True, learning is fun, exhilarating and gratifying — but it is also often daunting, exhausting and sometimes discouraging. . . . To help chronically low-performing but intelligent students, educators and parents must first recognize that character is at least as important as intellect." "Duckworth finds it useful to divide the mechanics of achievement into two separate dimensions: motivation and volition. Each one, she says, is necessary to achieve long-term goals, but neither is sufficient alone. Most of us are familiar with the experience of possessing motivation but lacking volition: You can be extremely motivated to lose weight, for example, but unless you have the volition — the willpower, the self-control — to put down the cherry Danish and pick up the free weights, you’re not going to succeed. If a child is highly motivated, the self-control techniques and exercises Duckworth tried to teach [the students in her study] might be very helpful. But what if students just aren’t motivated to achieve the goals their teachers or parents want them to achieve? Then, Duckworth acknowledges, all the self-control tricks in the world aren’t going to help." This is where grit comes in — the X-factor that helps us attain more long-term, abstract goals. To address this, Duckworth and her colleague Chris Peterson developed the Grit Scale — a deceptively simple test, on which you evaluate how much twelve statements apply to you, from “I am a hard worker” to “New ideas and projects sometimes distract me from previous ones.” The results are profoundly predictive of success at such wide-ranging domains of achievement as the National Spelling Bee and the West Point military academy. "For each statement, respondents score themselves on a five-point scale, ranging from 5, “very much like me,” to 1, “not like me at all.” The test takes about three minutes to complete, and it relies entirely on self-report — and yet when Duckworth and Peterson took it out into the field, they found it was remarkably predictive of success. Grit, Duckworth discovered, is only faintly related to IQ — there are smart gritty people and dumb gritty people — but at Penn, high grit scores allowed students who had entered college with relatively low college-board scores to nonetheless achieve high GPAs. At the National Spelling Bee, Duckworth found that children with high grit scores were more likely to survive to the later rounds. Most remarkable, Duckworth and Peterson gave their grit test to more than twelve hundred freshman cadets as they entered the military academy at West Point and embarked on the grueling summer training course known as Beast Barracks. The military has developed its own complex evaluation, called the whole candidate score, to judge incoming cadets and predict which of them will survive the demands of West Point; it includes academic grades, a gauge of physical fitness, and a leadership potential score. But the more accurate predictor of which cadets persisted in Beast Barracks and which ones dropped out turned out to be Duckworth’s simple little twelve-item grit questionnaire." You can take the Grit Scale here (registration is free). 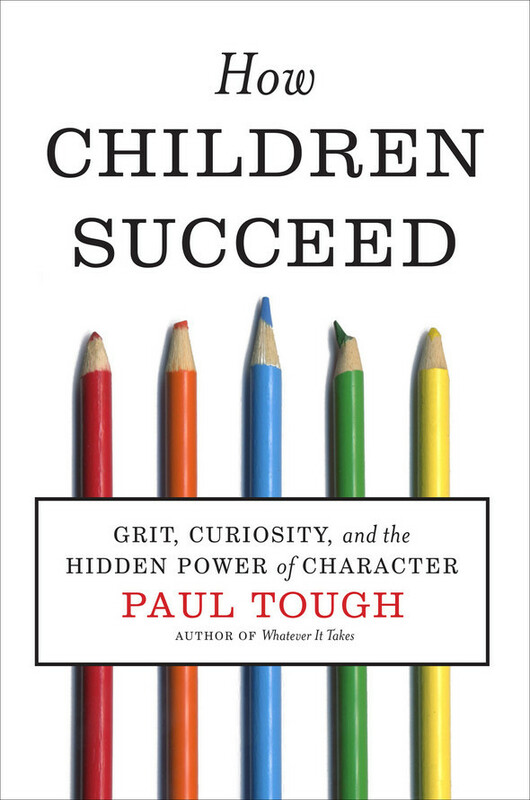 For more on the impact of Duckworth’s work, do treat yourself to the altogether indispensable How Children Succeed: Grit, Curiosity, and the Hidden Power of Character.